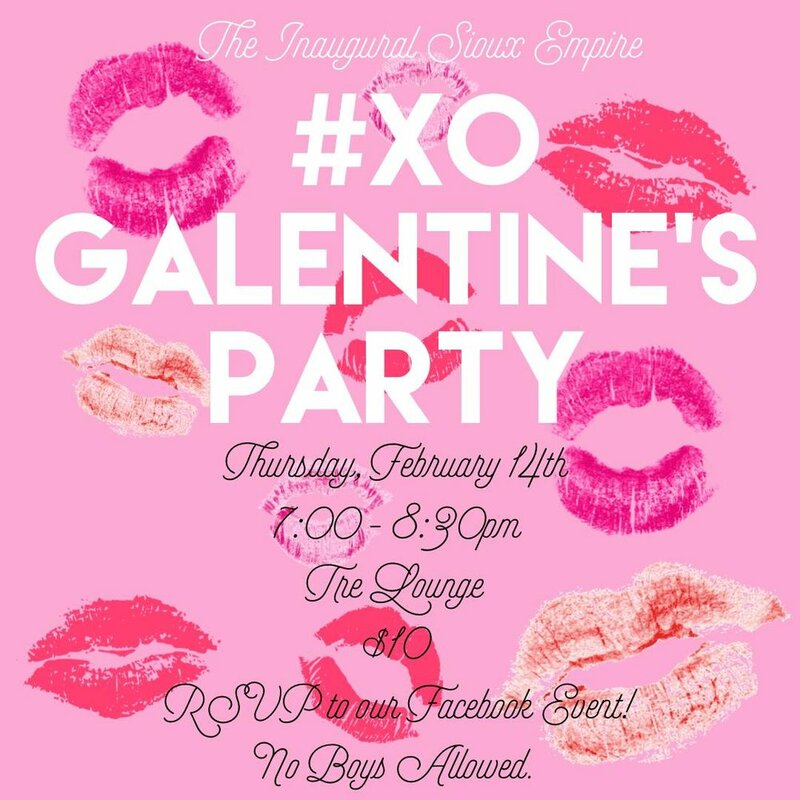 We welcome you to the first ever #XO Sioux Empire Galentine's Day Party! Gather your girls and get yourselves glammed up for a night of friendship, food, and inspiration as we celebrate the year's most awkward and overly-marketed holiday. Attire: Pink or Red #glam - dress to impress - especially because we will have a selfie station with the perfect lighting to show off your gorgeous getup! We will be giving away a $100 Lululemon gift card to one person who preregisters! Secure your registration by venmo-ing @tatiarose $10 to secure your spot and your entry for the drawing (add the note: #xo to process your ticket)! You may also purchase tickets at the door - but please RSVP to our Facebook event regardless! Post any questions to our event page and be sure to share the love! No one is spending V-Day alone this year...this is the #xo and we have your back, baby girl!